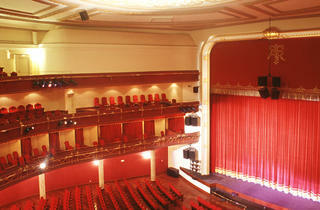 The Nuevo Teatro Alcala is located in Madrid's central Salamanca district in. In 1927 this architectural creation was brought to life by Luis Ferrero, who had the contract since 1922. In its first years, the theatre went by the name of Coliseo Pardiñas and later, Coliseo Alcalá, and after a few more years its name was changed again to Teatro Alcalá Palace. During the Teatro Alcalá Palace years, its stage hosted operettas, and the biggest names in flamenco performed there. In the 1970s the musical 'Jesus Christ Superstar' premiered, which was both wildly successful and quite controversial. 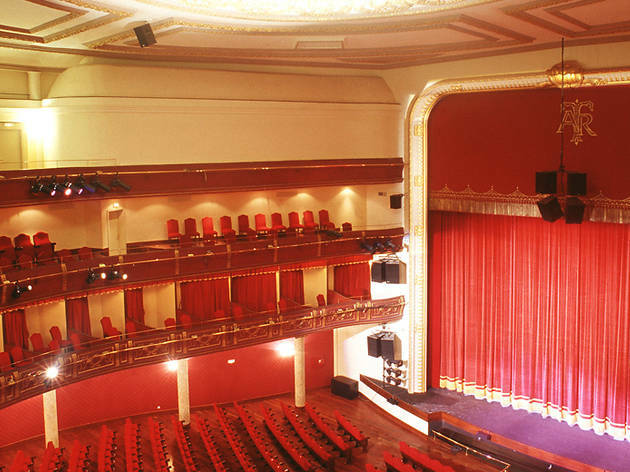 After 14 years of silence and closed curtains, in 2001 the theatre was resuscitated by entrepreneur Alejandro Romay, who, along with architect Margarita Massó, set up the current Nuevo Teatro Alcalá on the same site where the old Teatro Alcalá Palace stood. Since then, the Nuevo Teatro Alcalá has aimed to establish itself as a new theatre space in Madrid, set in a building of great architectural value that has two classic-style rooms bringing top-notch programming to the stage.